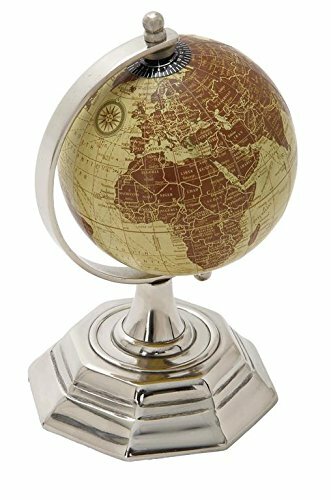 8 inch modern reflections aluminum, stainless steel and PVC desk world globe, tan PVC globe with maroon countries, polished silver finish stainless steel and aluminum plain meridian, tiered octagonal base. Suitable to use as a decorative item. Best for both indoor and outdoor use. This product is manufactured in India. Large Scratch Off Travel Map of the world Poster by ShrewdYard - Scratchable country flags and USA states - keep track of the places you've visited around the globe - detailed borders, for travellers!